Africké jedlá som kupodivu ochutnala skôr v Abu Dhabi ako v Afrike. Etiópske jedlo je veľmi zaujímavé a chutné. A prsty si budete oblizovať. My first experience with African food came surprisingly in Abu Dhabi where I tried dished from Mali, Zimbabwe, Sudan and Ethiopia. 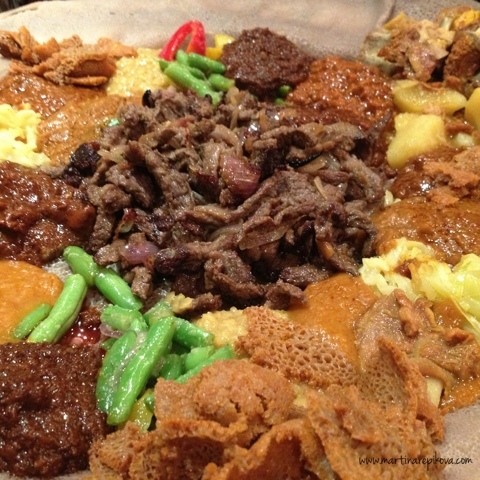 Ethiopian food is simple but very tasty. You will literally lick your fingers as you will eat your food with them.